Looking for the best car diagnostic tool? Need a vehicle diagnostic equipment for your car? Congratulations, you’re on the right page. Buckle up, read on and let’s do some shopping! Today there are hundreds, if not thousands of models of OBD diagnostic tools. When is all said, which of the 3 products above is most suitable for you? Want to read more about all the 10 Top Rated Car Diagnostic Tools? Just scroll down! Choosing just one is an uphill climb, to say the least. Luckily, we’ve done the hard work for you and picked out ten of the very best. What Did We Consider When Putting This Honest Review Together? Our review contains customer-oriented auto scan tools. The products are ideal for the ordinary car owner as well as DIY enthusiasts. That’s why we took into account all the features that make a scan tool practical to an ordinary person. So what exactly did we consider? Top on the list is functionality. We identified auto diagnostic tools whose functionality matches the needs of car owners as DIYers. Hence, we provide you the best scan tool list for home mechanic. In addition to that, we only took devices that are easy to use by the typical car owner. 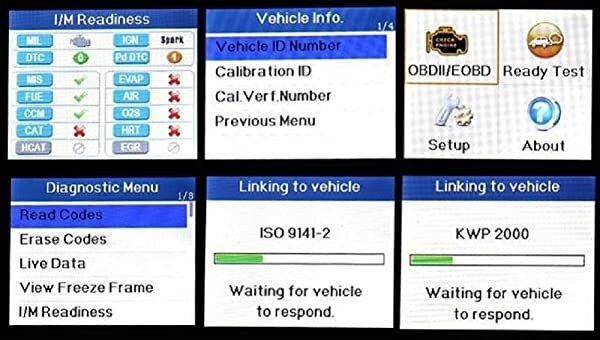 Obviously not each OBD scanner on the list is easy to figure out right out of the box but you generally won’t take a lot of time finding your way around their menus. Equally important is the price. Most car owners and DIYers work with a budget of a few hundreds of dollars. You will notice that each product on our list is on that particular price range. Finally, we also took the products’ ratings into account. Well, it only makes sense seeing as we are reviewing the top rated car diagnostic tools. Now, before we get to the business end of the review, how about a brief summary of the products’ features. The Bluedriver adapter will work on pretty much any car that has an OBD2 port. More importantly, it’s a full-system scan tool that also supports emission checks. And as a dongle, you can leave it plugged in and get real-time diagnostics data as it occurs. This diagnostic adapter works on OBD2 cars from all the mainstream brands – domestic and foreign. That includes GM, Ford, Toyota, VW, BMW, Audi, Chrysler, Nissan and many other brands. To kick the review section off is the Bluedriver Professional Bluetooth adapter. This is actually a dongle that connects to a mobile device (smartphone or tablet) and uses that device as a diagnostic tool. It works together with the Bluedriver diagnostics app. As far as vehicle compatibility, this diagnostic adapter works on OBD2 cars from all the mainstream brands – domestic and foreign. That includes GM, Ford, Toyota, VW, BMW, Audi, Chrysler, Nissan and many other brands. Most of these vehicles have the 16-pin OBD2 port located under the dashboard or under the gearbox. The two things to watch out for are ABS and airbag diagnostics. In some car brands, particularly JDMs like Honda, Subaru and Mazda and EU-made brands like Benz, those functions do not work properly. 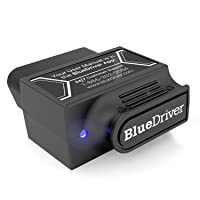 So while this Bluedriver scanner may pull engine and transmission codes easily on all vehicles, the same cannot be said about ABS and airbag codes. As an OBD dongle, the Bluedrive scan tool doesn’t work alone. It pairs with a smartphone or tablet via Bluetooth. By doing so, the scanner enables you to run diagnostics straight from your mobile device using the Bluedriver app. It’s good that it uses Bluetooth rather than Wi-Fi. That means you are free to use your Wi-Fi connection for other purposes like looking up code definitions and possible fixes. BlueDriver Sensor and the Official App will help you diagnose all system in your car. However, compared to Wi-Fi, Bluetooth doesn’t offer a strong connection as you move away. For instance, you can’t use the Bluedriver app when standing 10 meters away from the vehicle. The app is basically a diagnostic interface that makes it possible to send and receive commands to and from the adapter. In turn, the adapter uses the commands to communicate with the vehicle’s computer system. The best part is that the Bluedriver app is compatible with both iOS and Android devices. You can install it on your most preferred mobile device, provided it doesn’t run a Windows OS. On the flipside, the scanner’s reliance on a smartphone/tablet means it’s not a standalone device. If by bad luck your phone or tablet fails it would mean that you won’t be able to run any diagnostics using the Bluedriver scan tool. This device earns a spot as one of the best car diagnostic tools because of its functionality. For starters, it can pull and erase codes from all the available vehicle systems. That includes the engine, transmission, ABS, and SRS. Essentially you can use it to reset the Check Engine Light and other warning lights. Besides codes, this Bluedriver scanner performs several special functions. They include VIN retrieval, live data, smog tests and mode 6 tests. It will also display historical codes that have been cleared and even show you maintenance schedules and recalls. One thing to keep in mind is that just like ABS and SRS diagnoses, the advanced functions of this scanner don’t always work on European vehicles. Also, the data provided after mode 6 tests (particularly misfire counts) may be a bit hard to understand. Another reason why the Bluedriver can easily qualify as the best car diagnostic tool is that it’s an adapter. It’s a small device that you can leave plugged in the vehicle’s OBD2 port. In doing so it will feed your smartphone or tablet with real-time diagnostic data. That instant data logging helps you catch faults as soon as they occur. You can set it to show such things as boost pressure, boost air temperature, engine oil temp, atmospheric temperature etc. Having said that, it would be wise to unplug it every once in a while. Otherwise, the scanner’s connection to your vehicle’s OBD2 port may start to become loose. 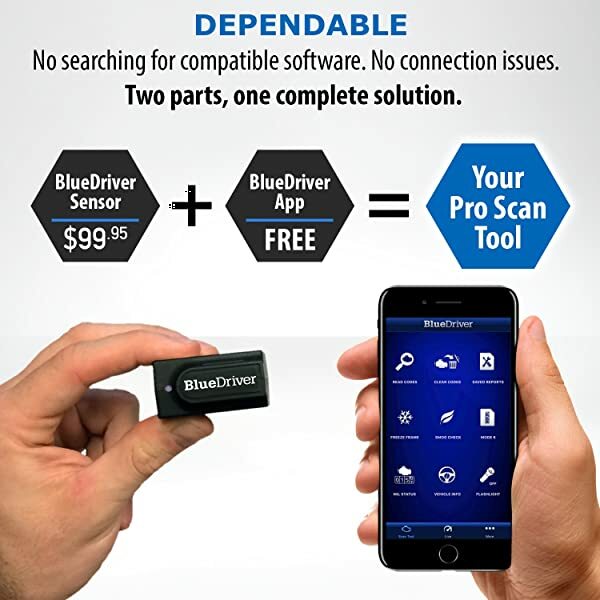 The simplicity of the Bluedriver Bluetooth scanner makes it one of the best car diagnostic tools for professionals and DIYers. A pocket-sized device, it’s perfect if your job requires you to move around. Just make sure you carry your phone and/or tablet along. A nicely designed auto diagnostic tool, the AutoLink AL319 from Autel comes ready to use. Its simplicity in construction is what makes it one of the best car diagnostic tools for many users. A nicely designed auto diagnostic tool, the AutoLink AL319 from Autel comes ready to use. Its simplicity in construction is what makes it one of the best car diagnostic tools for many users. Besides its LED screen, the only other thing on the device is a set of 3 buttons. The AutoLink AL319 is an OBD2 diagnostic scanner. For that reason, it works on vehicles made from 1996 onward – domestic and foreign. But like most other scan tools out there, there are some vehicles that it won’t cover despite them being OBD2 compliant. For example, some Lancer, Escalade, and Jeep vehicles are not compatible. A basic code reader, the AutoLink AL319 reads and clears engine trouble codes. As such, you can use it to reset the Check Engine Light. Autel Autolink AL319 has full function of a basic code reader. Although that’s primarily what most car owners want, it’s really basic and limiting. For example, you can’t use this diagnostic tool for ABS, SRS or transmission codes. But the other thing that you can use it for is checking your drive cycle readiness. The scan tool does emission checks and can tell you whether your vehicle will pass state and federal emission standards. It does have a dedicated I/M readiness key. The AutoLink AL319 has a screen for displaying diagnostic data. That is standard for virtually all OBD2 auto diagnostic tools. But the unique thing that you will find on this particular device is its color coding feature. It has three LED lights colored red, yellow and green. During diagnostics, it will flash the red light to indicate a serious problem. The yellow light shows there’s a possible problem while the green light means your car has no issue. That’s a cool way of relaying diagnostic information. But of course, it doesn’t say much about the exact problem. So you’ll still have to depend on the screen. This diagnostic scanner is ideal for ordinary car owners and beginner technicians. Besides covering all OBD2 protocols, it can read and clear engine codes as well as run emission tests. Plus you get a brief description of each code. 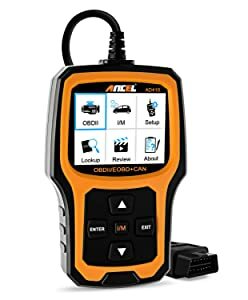 ANCEL AD410 is one of the most straightforward auto scanners out there, and that’s some people take it to be the best car diagnostic tool for the budget on the market today. The car scan tool ANCEL AD410 comes with a user manual that contains the full setup procedure. 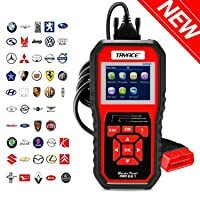 It’s one of the most straightforward scanners out there, and that’s some people take it to be the best car diagnostic tool for the budget on the market today. This is an OBD2 scanner that works on most 1996 and later vehicle models. But you may want to check Ancel’s website to confirm your car is indeed covered. A few Ford users have had compatibility issues, particularly those with Ford Rangers. The AD410 has two primary functions. First, it is a code reader for pulling and clearing engine codes. For that reason, you can use it to reset the Check Engine Light. Beyond that, there are no other codes that you can read. That goes for ABS, SRS and transmission codes. A bit of a bummer if you are looking for a more comprehensive scan tool. Secondly, it performs emission tests. More specifically, it triggers the O2 sensor and EVAP sensor tests. So to put it simply you can use the AD410 to check whether your vehicle passes state and federal emission tests. And there’s a special I/M key for that. Ancel AD410 read codes and clear check engine light. While most scan tools of its price range allow users to only view diagnostic data, the AD410 allows you to save and even print the data. Saving data makes it possible to review it later. On the other hand, when you print it out you can analyze it some more. With that said, the data comes with very little to no description. Codes come with definitions (vague ones) but I/M data doesn’t. You will still need to go online to find out what’s wrong with your vehicle. A low-cost device, the Ancel AD410 is great for beginners and ordinary car owners. It is ideal if you want a tool for turning the Check Engine Light off and checking your car’s emission status. This scanner costs under $90 in most retail outlets. Despite the low cost, it offers a broad range of diagnostic functions. You can use it to reset the Check Engine Light and also view live & freeze frame data. TryAce is not the biggest brand of OBD scanners. However, for many users, the SR950 ranks as the best car diagnostic tool. That is large because of its ability to reset the Malfunction Indicator Lamp (MIL) and run emission tests. Plus it’s a small, compact and affordable device. 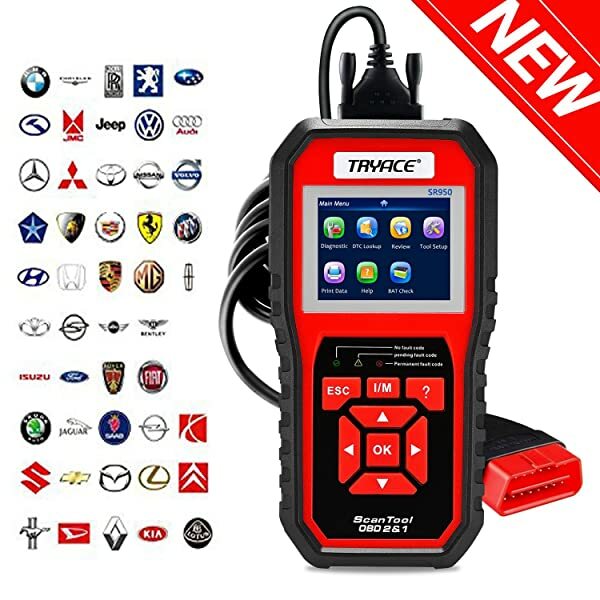 The TryAce SR950 auto diagnostic tool works on US, European and Asian-based OBD2 cars. Those are basically cars made from 1996. They have a 16-pin OBD2 connector where this auto scan tool plugs into. However, the vehicle should not be bigger than 12V nor have a diesel engine. So such cars like BMW X series, Cadillac BLS, Chrysler 300M and Ford Ranger are not covered. That’s the biggest downside, at least as far as compatibility. On a positive note, it does support all OBD2 protocols. 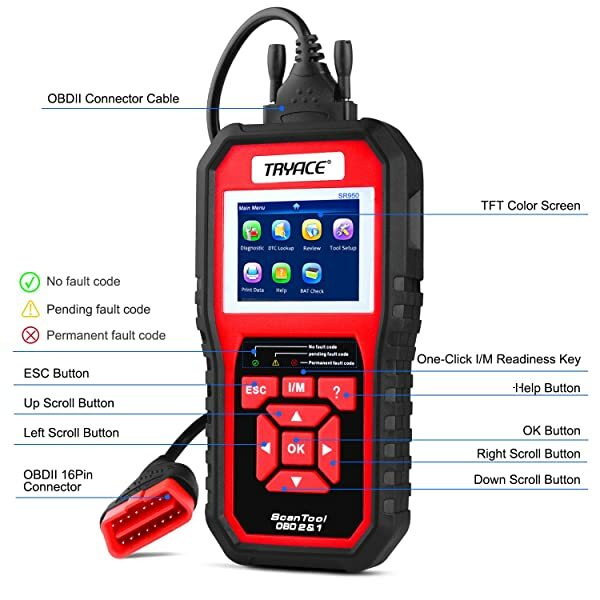 Primarily an engine fault code reader, the TryAce SR950 checks the health status of your car’s engine. It does so by reading and clearing engine DTCs. That goes for pending and permanent codes. As a result, you can use the scanner to turn off the Check Engine Light (MIL). When the SR950 gives an error code it also gives you the option to look up the meaning of that code. Another handy feature is that it can run diagnostics when the vehicle is being driven. You may need to do that if you want to test the car’s performance. Also, the scanner has a built-in memory and battery that makes it possible to do off-vehicle data analysis. You may have noticed that beside the engine there’s no mention of any other onboard system. That’s because this auto scan tool doesn’t run diagnostics on any other system. Meaning it won’t do ABS, transmission or airbag checks. Similarly, it doesn’t support advanced diagnostics like EPB, TPMS, battery registration, oil change etc. Basically, you can’t use it for anything other than checking the engine and emissions. Speaking of emissions, the TryAce SR950 has a one-click I/M readiness capability. With just one click of a button, you can do O2 sensor test, advanced onboard monitoring (Mode 6) and EVAP test (Mode 8). The TryAce SR950 OBD1 and OBD2 scan tool. It does a pretty decent job in all cases. And that makes it one of the best car diagnostic tools for emission tests. Additionally, you can use this diagnostic scan tool to view freeze frame data, do dynamic data stream and retrieve a vehicle’s information. While vehicle information (VIN, CIN, and CVN) will give you a comprehensive history report, live data is very important when you are checking performance or doing repairs. Overall, there’s no doubt the SR950 brings a lot to the table, especially in terms of CEL reset, emission tests and reading data. However, beyond that, it really doesn’t do much else. So while it may be great for a car owner, a professional may find it lacking in functionality. As mentioned already, if you are a professional auto mechanic you may find the TryAce SR950 lacking. But to an ordinary car owner, it’s a great device for resetting the CEL and ensuring that your vehicle passes emission tests. The typical car owner needs those two functions more than any other. The Kiwi 3 pulls diagnostic information from your vehicle and sends it to your smartphone or tablet. 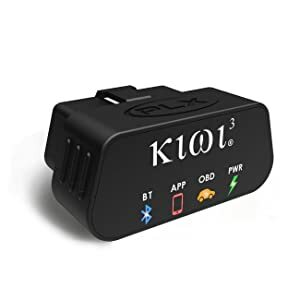 This is yet another OBD dongle that connects to a vehicle’s computer via Bluetooth. Kiwi 3 pulls diagnostic information from your vehicle and sends it to your smartphone or tablet. The Kiwi 3 is working on all OBD2 consumer cars and light trucks. If you are in Europe that would be EOBD-compliant vehicles. Otherwise, for Americans, it simply means the device should work provided your vehicle was made in 1996 or later. Having said that, there are some car models like the 2000 Corvette whose ECUs don’t connect with this adapter. Be sure to check the manufacturer’s site first. Equally important is its compatibility with mobile devices and diagnostic apps. First off, Kiwi 3 connects with both iOS and Android phones and tablets. It also works well with virtually all third-party OBD2 apps, including Torque, DashCommand, OBD Auto Doctor, OBD Car Doctor, Carista and any other app you can think of. 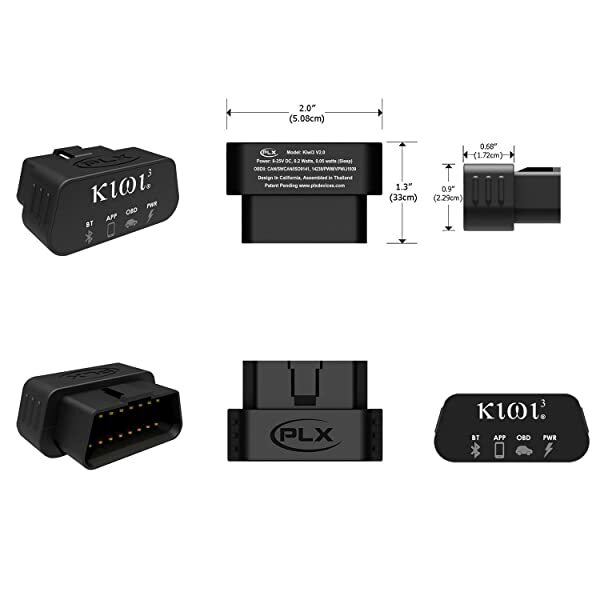 PLX Devices (the manufacturer of Kiwi 3) do have their own diagnostic app called “Kiwi OBD”. While it’s free to try, you will need to pay $9.99 to fully unlock its diagnostic functions. Even so, it brings very limited functions to the table. For example, you cannot do video overlay, performance monitoring or data logging with the Kiwi OBD. Actually, the app simply says “Coming Soon” for most of the essential diagnostic functions. You could skip it altogether and just install a reliable third party app like Torque or DashCommand. This auto scan tool links with an Android or iOS phone/tablet via Bluetooth. As long as you have Bluetooth turned on the adapter will just connect automatically. You won’t need to enter a 4-digit code. For Android devices, it will show up on the Bluetooth menu after connecting. But if you are using an iOS device you won’t see it listed. That tends to confuse some users, but you should know that it will work as long as it has created the Bluetooth connection. Also, it’s unlikely to work if the Bluetooth version you are using is older than 4.0. Although the diagnostic functions you will get largely depend on the app you choose, the adapter does offer several basic functions. Top on the list is the ability to read and clear engine codes. That means you can use it to reset the Check Engine Light. Additionally, it provides live sensor data in text and graphical formats. Perhaps more importantly, the Kiwi 3 monitors your vehicle’s health and performance, and reports on the same. Whether its fuel system status, fuel trim, RPM, coolant temp, air flow rate, fuel pressure or any other performance index, the adapter will show it. Although it’s a handy device for car owners and DIYers, the Kiwi 3 is far from perfect. For one it’s not an all system scanner. It won’t help if you want to scan such things as ABS, airbag or transmission. Plus it tends to lag when relaying graphical data, although that may depend on the device and app you are using. For example, while newer versions of iOS work smoothly, older ones tend to take their time when displaying graphical data. One reason why some people find the Kiwi 3 to be the best car diagnostic tool is due to its small size. It’s about ¼ of the size of a typical OBD2 dongle. The benefit of that extremely small size is that you can leave it plugged to your OBD2 port even as you use your vehicle on routine drives. It’s about ¼ of the size of a typical OBD2 dongle. That way the adapter will furnish you with real-time diagnostic data like fuel system status, fuel trim, RPM, coolant temp, air flow rate, fuel pressure, trip logger etc. You can view every parameter on a dashboard (gauge). To change the appearance of a gauge simply head to Gauge > Numeric > Plot. Seeing as the Kiwi 3 offers basic functionality, it’s most suitable for ordinary car owners and DIYers. 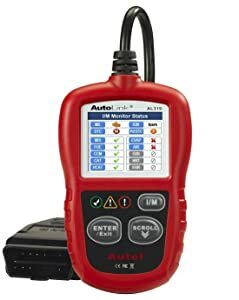 A professional needs an auto diagnostic tool that can do much more, and this adapter is not it. 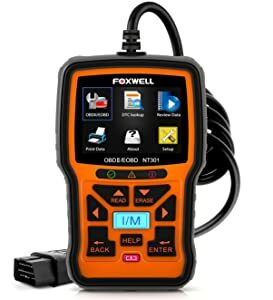 A globally renowned brand, Foxwell makes some of the most user-oriented automotive diagnostic tools. One such device is the FOXWELL NT301. It ranks among the best car diagnostic tools on account of its low price, functionality and simplistic design. The NT301 is an OBD2 scanner for vehicles made since 1996. If your car is a light truck, you may want to purchase an extension cable. It will allow you to check the vehicle while sitting in the driver’s seat. Note that the scanner doesn’t cover vehicles that are more than 12V or those that have diesel engines. This device reads and erases engine trouble codes. You can use it to reset the Check Engine Light whenever it comes on. As far as codes that’s pretty much it, you can’t access other systems like ABS, SRS or transmission. But beyond codes, you can check your car’s emission status to confirm that it meets state and federal standards. It supports Mode 6 as well as O2 sensor tests. 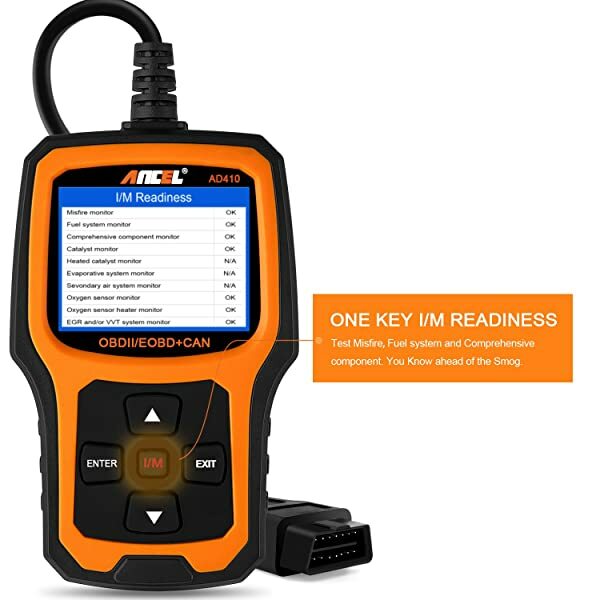 There’s a dedicated I/M readiness key for all your emissions-related tests. However, the Mode 6 data is not the easiest to understand, especially for a layperson. And the accompanying user manual doesn’t make it any easier, it’s too vague and unclear. The NT301 is perfect for reading and clearing engine codes and also running emission tests. It’s a basic function tool designed for ordinary car owners. But you’ll need to spend some time figuring out its menus before you can use it comfortably. The NT510 supports both basic and advanced diagnostics. 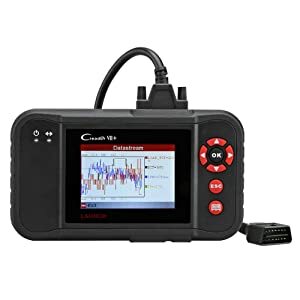 Whether you want to read and clear codes, do a full system scan, check the SRS, ABS and transmission systems, perform oil service, do EPB or run TPMS functions, this device supports them all. 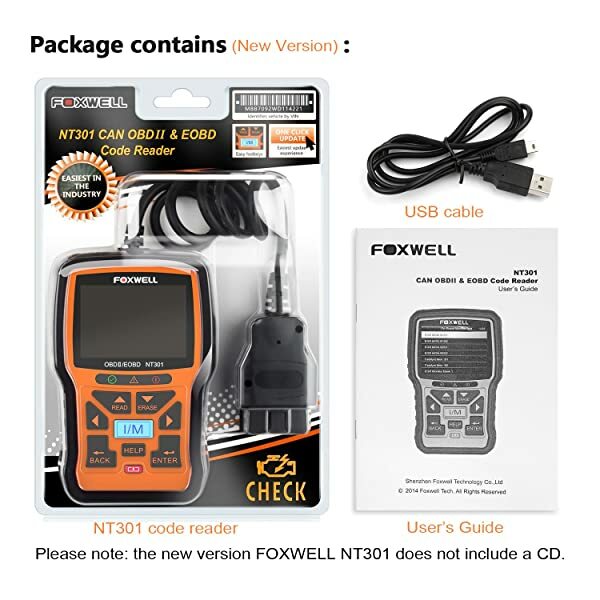 Specifically designed for BMW cars, the FOXWELL NT510 supports both basic and advanced diagnostics. It is a BMW diagnostic tool but it also works on Rolls-Royce and Mini vehicles. More interestingly, the NT510 supports both OBD1 as well as OBD2 cars. And that means you can use it on any car that was made from 1987 to date. Well, not exactly ANY car. The scanner has problems reading some models like the BMW 1997 Z3 and 2012 528i. Regardless, if you want to do a diagnostic for other cars that are neither BMW Rolls-Royce nor Mini you can. But you will have to purchase software for the car’s brand at a price of $60. The total number of brands that the scanner can support at any given time is 5. 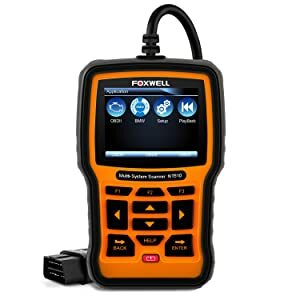 At the very least the Foxwell NT510 allows you full-system diagnostics. With it, you can check the engine, SRS, ABS, and transmission. For that reason, it’s ideal for resetting all the common warning lights, including the Check Engine Light. This is where the NT510 comes to its own. It supports such special functions as ABS module activation, brake deactivation, battery registration, TPMS function, oil light service reset, throttle body adjustment and a series of other professional-level functions. The only issue here is the menu. It’s not quite difficult to navigate, but it could use an easier “escape” function. As it is you have to go back the same way you came if you want to exit a function. There’s no single “exit” button. The Foxwell NT510 is one of the few professional automotive diagnostic scanners on this list. I feature a wide vehicle coverage and basic as well as advanced diagnostic functions. Launch’s Creader VII+ covers both gasoline and diesel-powered vehicles. Launch’s Creader VII+ is similar to the renowned Launch CRP123 in so many ways. The biggest difference is that the latter supports more foreign-made vehicles than the Creader VII+. But if you’ve tried and liked the CRP123, then purchasing the VII+ might pass as a good idea. It covers OBD2 vehicles meant for use in the USA. Basically, the car needs to be a 1996 or newer model with the 16-pin OBD2 port. Interestingly, this scan tool covers both gasoline and diesel-powered vehicles. While it may work flawlessly on US-based cars, the same can’t be said for cars meant for foreign markets. For example, a Toyota, BMW, Subaru or Benz meant for the EU or Asian market may fail to be compatible. Still, on the issue of compatibility, the Creader VII+ is fully compatible with Windows 7 & 8 but not so much with Windows 10. You can use this scanner to read and clear engine, ABS, airbag and transmission codes. That goes for pending as well as active codes. And it’s one reason why the device is among the best car diagnostic tools from Launch. With that said, it doesn’t support full diagnostic functions on all types of vehicles. For example, while you may use it to pull engine and transmission codes on a Mercury, it won’t be able to read ABS and SRS systems. The scanner has similar issues when doing Mercedes and Chrysler diagnostics. When not using it to read or clear codes, you can use the Creader VII+ for emission tests. It supports the EVAP system as well as O2 sensor tests. 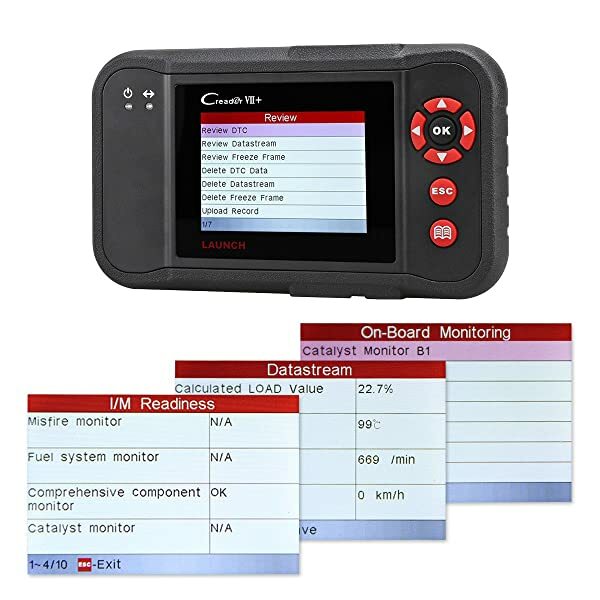 When not using it to read or clear codes you can use the Creader VII+ for emission tests. The Launch Creader VII+ gives live sensor data, including ABS sensor output, wheel speed etc. If your vehicle has multiple ECUs you will be able to see real-time data from each. The only problem is that it doesn’t give graphical data, only numerical values. Despite the few flaws, this auto scan tool is a handy device for DIYers and beginner professionals. Its full-system diagnostic capability means you can access all the 4 main systems in a vehicle. Plus it offers just enough functions, not the complicated ones. You can use the Innova 3100j right out of the box. It comes updated and with everything you need, including a user manual. But be warned, the manual is far from clear, you may need to have another diagnostics guide with you as you use this OBD2 auto scan tool. You can use the Innova 3100j right out of the box. This car diagnostic tool device is designed to cover OBD2 compliant vehicles; i.e. those manufactured from 1996 or later. It works on cars (including hybrids), SUVs and light trucks that weigh no more than 8,500 pounds. But like most other diagnostic scanners, the Innova 3100j doesn’t work on some vehicles, despite them being OBD2 compliant. Examples are the 2003 Volvo XC90 and 2005 Ford Expedition. Primarily a code reader, the Innova 3100j can read and clear engine, SRS, ABS and transmission codes on compatible vehicles. With that capability, you can use it to find out the cause of the Check Engine Light and even reset the light. It does offer a brief description of the codes. However, the code definitions are poorly written, you will still need to do some online research after pulling a code. If you want to use Innova’s official website for code meanings and possible fixes you will have to pay a subscription fee of $29.99 per year for one vehicle. In addition to reading and erasing diagnostic trouble codes, this OBD2 auto diagnostic tool can perform oil and battery resets. While the manufacturer claims that you can do emission tests, that function is mostly just for show. The 3100j tends to show that every connected car would fail emission tests, including a brand new car. But one function that works almost perfectly is the freeze frame data function. The device will show you several engine parameters, such as engine coolant temp and fuel trim. In case of a malfunction you will know exactly when the fault occurred and the affected sensors. But you probably won’t like its response speed when giving data. It tends to lag a bit as you navigate through the menus. You can use the Innova 3100j right out of the box. The car diagnostic tool comes updated and with everything you need, including a user manual. 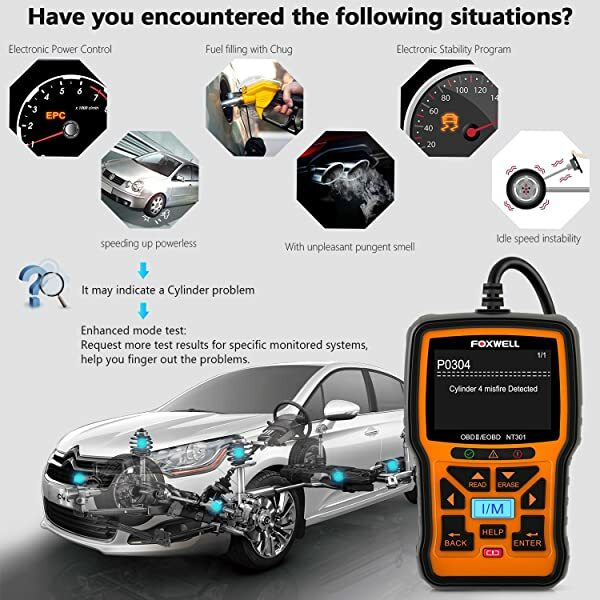 If all you’re looking for is a device that can help you read and clear codes then the Innova 3100j could easily rank as the best car diagnostic tool for that. You can use it to reset the MIL easily. And that makes it ideal for the ordinary car owner. 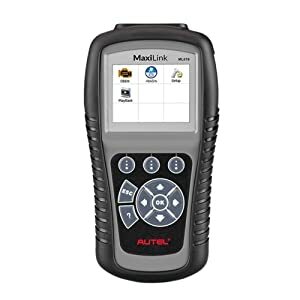 The Autel MaxiLink ML619 is yet another entry-level auto scan tool that covers virtually all mainstream vehicle brands. Autel MaxiLink ML619 is yet another entry-level auto scan tool that covers virtually all mainstream vehicle brands. Although its description says it’s a plug-and-play device, be sure to update the software before using it. Otherwise, it won’t support some functions or work on your vehicle to start with. This device works on OBD2 vehicles, both domestic and foreign. So if your car is a 1996 or newer model chances are you may use the scanner. Having said that, the vehicle database needs updating. Although the scanner has the ability to automatically identify a vehicle, it doesn’t do that for all cars. Case in example is the Suzuki brand. If you run into that problem simply select the “Other” vehicle option. 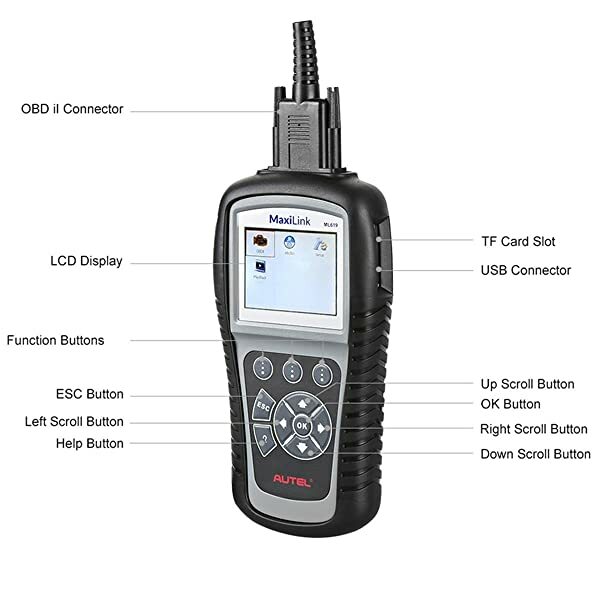 Like most of the previous diagnostic scanners we’ve seen, the MaxiLink ML619 is a full system OBD2 tool. That means you can do engine, SRS, ABS and transmission checks. Ultimately, you can use it to read and clear codes on those systems and thus turn their warning lights off. In case you are wondering, yes it can reset the Check Engine Light. Also, the scanner indicates drive cycle readiness. It basically shows if your vehicle passes emissions. The one bugging thing about the MaxiLink ML619 is that it is very difficult to update. First, completing the update process takes a lot of time and effort. Secondly, you can’t update it on a Windows 10 computer, only earlier versions of Windows. Perhaps the biggest strength of the MaxiLink ML619 is its data display. For starters, it can show several parameters, including live PCM data, drive cycle readiness, ABS sensor data and so much more. In addition to that, the scanner offers options. You can choose to view graphs or print the data via PC. It all depends on what you’re comfortable with. 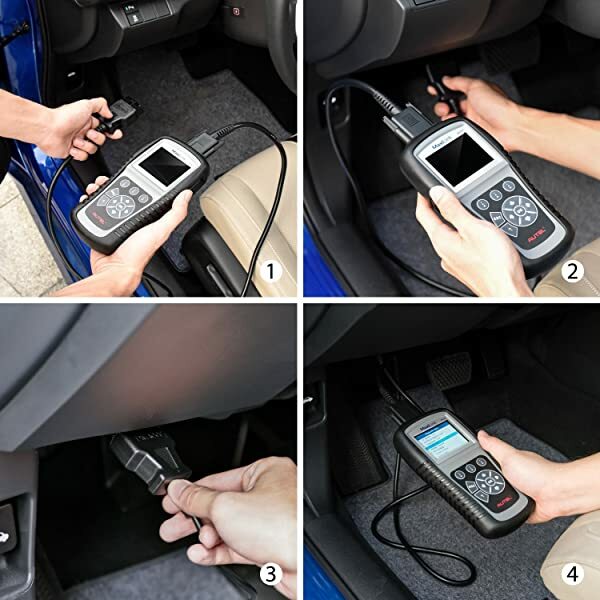 The MaxiLink ML619 is a very basic unit that car owners and beginner DIYers may find helpful. It offers the most essential functions, i.e. OBD2 system diagnostics and emission tests. Buying an OBD scan tool isn’t as complicated as you may think. Most of them are actually plug-and-play devices that don’t require complex installation procedures. Every OBD scanner falls into one of two main categories, namely diagnostic scan tools and adapters. Diagnostic scan tools are the traditional scanners. 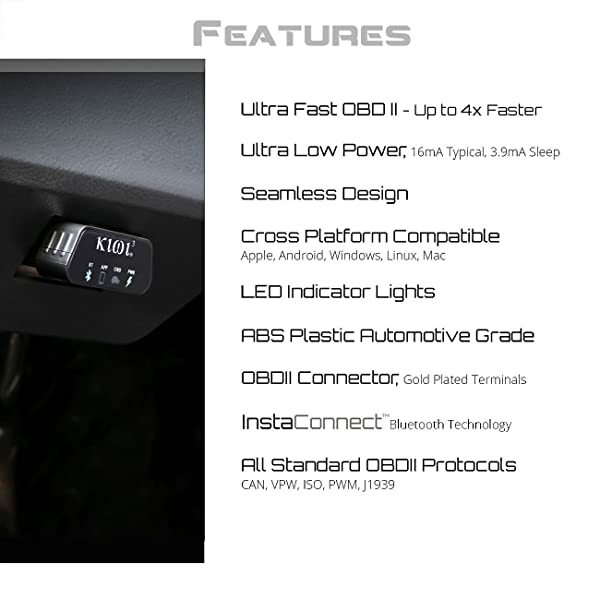 They are stand-alone devices that connect to the OBD port using an OBD connector. On the other hand, adapters are diagnostic dongles that work with a mobile device. The dongle plugs to the OBD port and then transmits diagnostic data to a smartphone or tablet via Wi-Fi or Bluetooth. You need to install a diagnostic app before using an OBD dongle. Adapters are usually small and can be left plugged in. It makes more sense to buy one of these if you want a device that can do real-time vehicle monitoring. But most of them are not as durable as traditional scan tools. Plus some apps require paid subscriptions to use. Diagnostic scan tools are a lot simpler to use than dongles. They feature a straightforward menu. However, they are more expensive compared to dongles. So, ultimately your choice here not only depends on your budget but also if you’re comfortable using one over the other. This is undoubtedly the most important consideration. Make sure the scanner you pick actually works on your vehicle. Manufacturers usually list all the vehicle makes and models that are covered by a particular scanner. Be sure to check that out on their website or from customer reviews. You may want to know that while some scan tools are designed to cover just one or two vehicle brands, others are universal and work with a wide variety of cars. For example, while the Foxwell NT510 covers BMW, Rolls-Royce & Mini, the Ancel AD410 works on all OBD2 cars. Also noteworthy is that there are scan tools for OBD2 cars, others for OBD1 cars and still some that cover both OBD1 and OBD2 vehicles. So before settling on one make sure it covers the type, make and model of your car. At the very least a diagnostic scan tool will display engine error codes. You’re guaranteed to read (and clear) codes related to the Check Engine Light, as well as run emission tests even with the most basic device. However, some more complex scanners allow you to get more detailed diagnostic information. You can do such tests as BMS, EPB, oil reset, SRS, DPF, TPMS etc. Others support programming, relearning and actuation. Before making the purchase you may want to list down all the must-have features. That way you will know exactly what you want your device to be able to do. Unless you are buying a diagnostic scan tool for a professional auto shop, most of these devices will not cost you an arm and a leg. They typically cost anywhere from $50 to thousands of dollars. It all depends on the features that it brings to the table. With that said, make sure the one you settle for is within your budget. It may sound obvious but you can’t purchase something that you don’t have the money for. A diagnostic scan tool won’t help you in any way if you can’t figure out how to use it. Virtually all of them come with a user manual to help you find your way around the menus. That said, start by reading customer reviews to ensure that it doesn’t have complicated menus. And that the accompanying user manual can actually help. Not all OBD scanners are created equal. Some brands are known for their high-quality functionality and durability. Conversely, others are popular for all the wrong reasons. With that in mind, you may be able to tell whether your device is good or not just by looking at the brand. Some of the best car diagnostic tool include Innova, Autel, Launch Tech, Foxwell, Actron, BlueDriver, and Ancel. OBD scanners need to be upgradable in order to accommodate the latest diagnostic technology and newer vehicle models. If you buy one that doesn’t upgrade it will be obsolete the moment you buy a newer car. In short, check to know whether its software is upgradable, how easy it is to update and if the updates are free or not. The takeaway point is that there are so many auto diagnostic tools out there. However, not all of them have the same features and compatibility. With this review, you can know whether a particular device works on your vehicle and if it has the features you need. We only took the best car diagnostic tools. So no matter their few flaws, each one has something solid to offer.